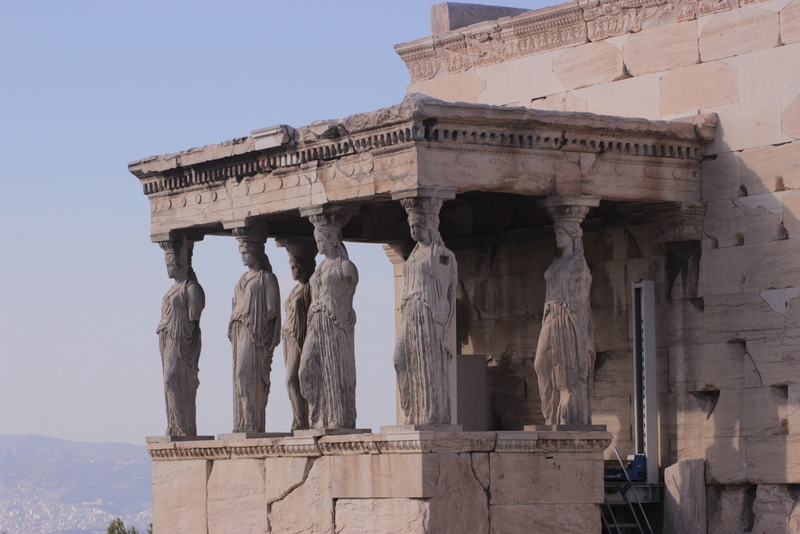 Acropolis, Athens -The Archaic Remains – Exploring Life..
We had to change metros. We got down from one and got into another and the door closes before answesha could enter. We left her and travelled to our destination! She did not have the ticket and we were hoping she would catch the next metro and arrive without getting checked by the police and luckily she did! We arrived at Syntegma to go to Acropolis from airport after an hour. Contrary to what I had thought Acropolis was a complex which contained many ancient buildings and not jus a broken building with pillars. And it closes at 2:45 PM!! We thought who closes a historical monument so early! We had to hurry up. The building was on top of a mountain. 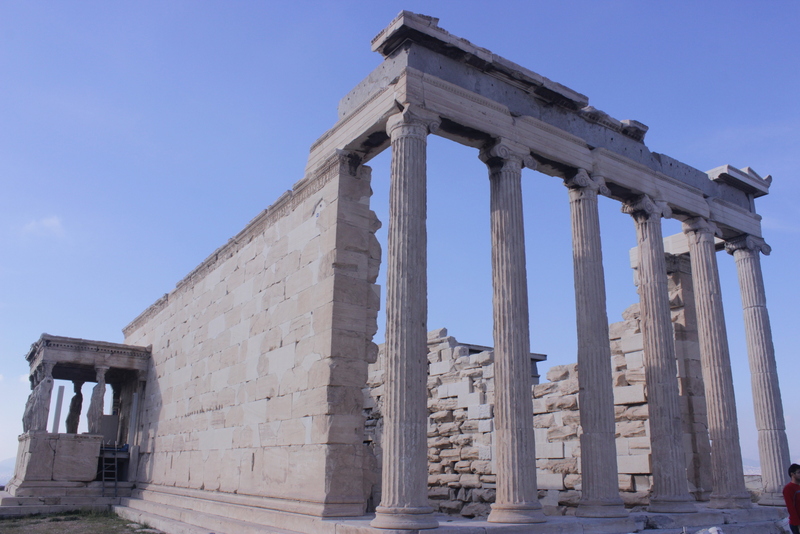 The entrance to the Acropolis was a monumental gateway called the Propylaea. South of this was the Temple of Athena Nike. The remains had some serious reconstruction going on with cranes around it. 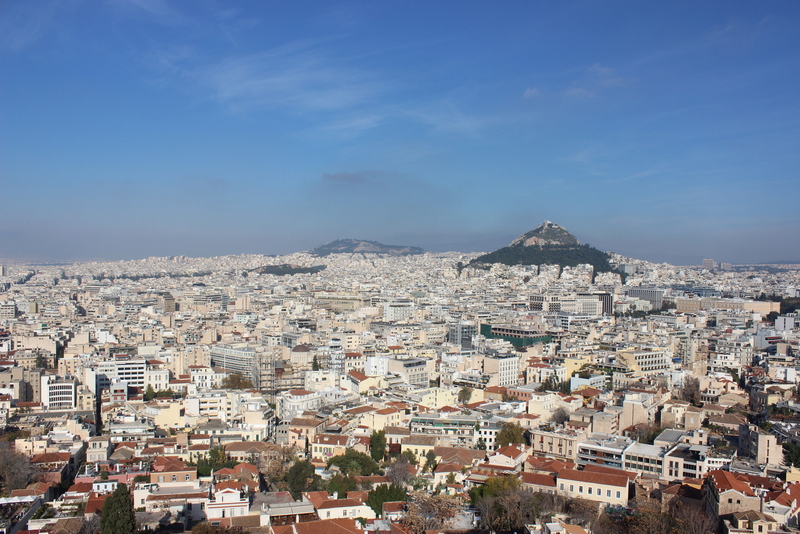 Overlooking the buildings we could see the beautiful Athens city with cream colored houses and maroon roofs.. We saw a lot of Mediterranean cats 😛 who loved getting stroked ! We sat there admiring the landscape. Unfortunate moment for me while coming down, I slipped and fell on the ground. 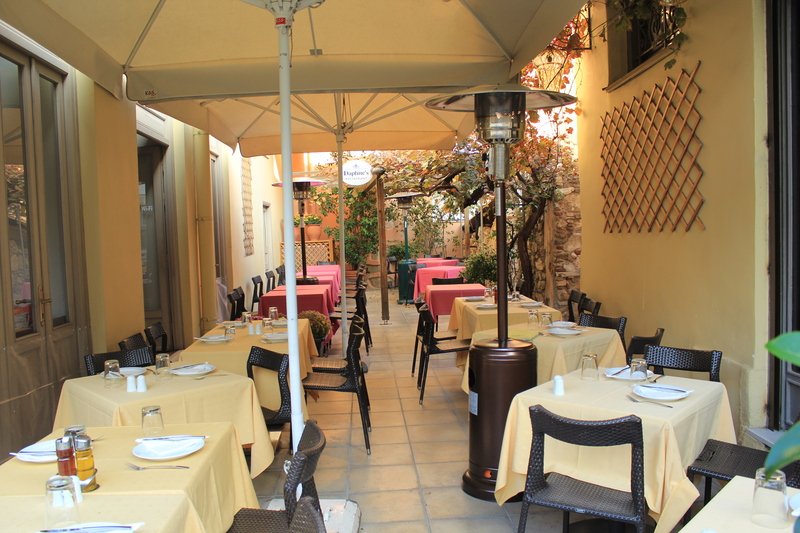 We planned on going through the Plaka street! And it was just around the corner. 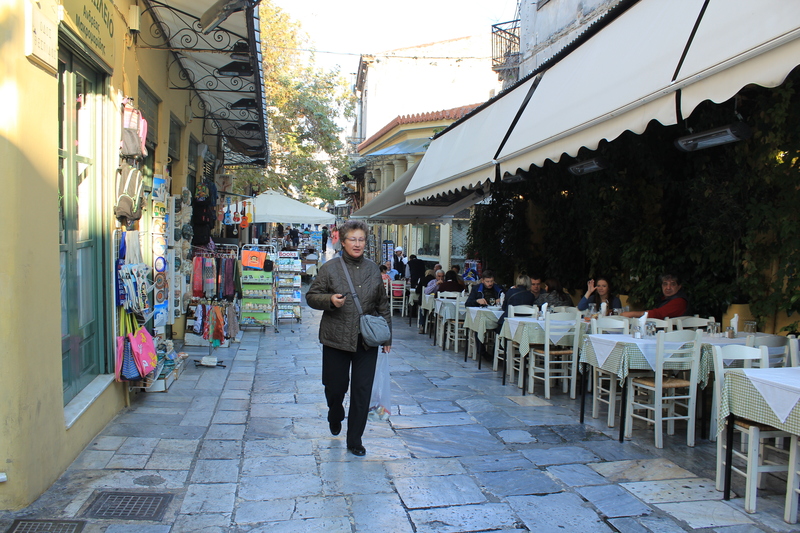 It was an artistic street with souvenir shops and scenic restaurants. Looked like those in Bollywood songs.We shopped for souvenirs there. We managed to do all this in our 5 hour layover. We reached the airport to catch the flight to Santorini on time.